134 Kedron Park Road, Wooloowin 4130. 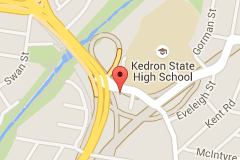 Access to the building is via the car park of the Kedron Park Hotel on Lutwyche Road. Road: Take A3 onto Lutwyche Rd. Right into Chalk St. Follow to Kedron Park Rd. Turn left at Lutwyche and first left at the car park. Train: Alight at Woolowin train station. Walk up Wride St. Turn right at Kedron Park Rd and walk up to the pub and Impress. Bus: Translink 370, 334, 321. Check buses at RBWH bus station. Take any bus that stops at Lutwyche Shopping Centre and walk north. As you pass the primary school and church, you will see Impress. Any bus stop near the Kedron Park Hotel. Members are needed to form a team to help prepare, curate, hang and manage exhibitions, sit the Gallery during exhibitions and to keep the Gallery open from Thursday to Sunday from 10am to 4.00pm from February to mid December. Members will gain valuable experience in curating, hanging, preparing, marketing and managing art exhibitions as well as association with other Artists with similar interests. Monthly meetings at a time determined by the group will be necessary to co-ordinate activities. Experience desirable BUT not necessary.